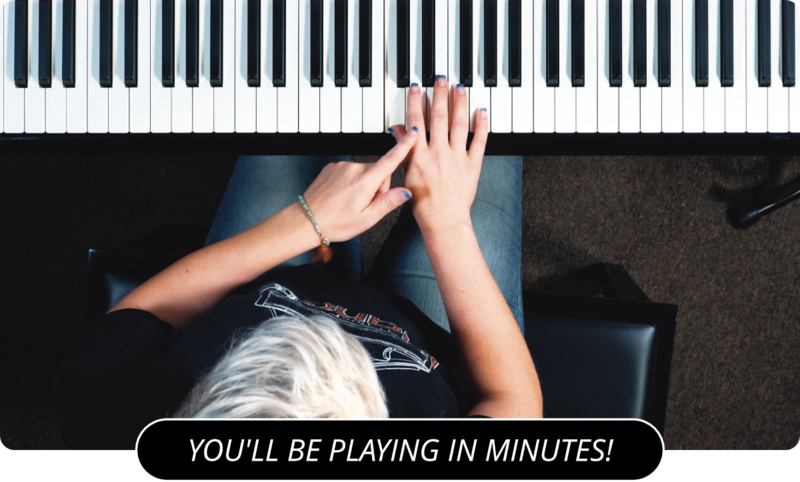 If you’re learning adult piano lessons , it can be rewarding for both teacher and student. Playing piano as an adult is a good way to relieve stress – listening to music is a good stress reliever, so playing it works even better. Many adults think that it’s impossible to learn to play the piano , but this isn’t true. There are a few simple things to keep in mind when deciding to learn. First, find a good piano teacher . A good teacher of adult piano lessons will be passionate and really love what they do for its own sake, not just for the money. Make sure that the teacher is experienced at teaching adults, because children’s and adults' learning styles are quite different. The studio would likely be aimed at a younger group and you’d feel rather out of place. So do be sure to pick someone who has taught adults to play the piano. You may also want to consider purchasing some piano lessons DVD's or piano videos . These can be extremely valuable if you do not wish to leave your home for lessons. If not just for the convenience they are also a great resource to compliment your face-to-face instruction as you can go over your teachers last lesson as many times as you need. Take some time to figure out what style you really want to play – maybe blues piano or jazz piano . Some people don’t even really want to learn to read music but just improvise chords and learn to play basic melodies. Try to find adult piano lessons that will give you what you’re looking for. There’s bound to be a teacher that can give you lessons in what you want to learn, as long as you’re willing to put forth the effort. In that vein, make time every day to practice. If you’re taking adult piano lessons , it’s going to take a commitment of your time and energy to become skilled, like anything else. If you happen to have piano practice as a low priority, odds are you’ll not practice as often as you should and be disappointed by the results, ie poor playing. Half an hour per day is enough time to play the piano and practice. When you’re learning adult piano tutorials , it’s easy to forget that you’re a student and need to listen to your teacher. Being an adult, you’re used to figuring things out on your own, but this is likely an entirely new skill set. So listen to those who know more about it than you do. It’s no shame to be a beginner – we all have to start someplace, and your teacher will help you in your musical development. Even if you don’t understand why your teacher’s asking you to do things a certain way, remember that they’re the knowledgeable one, and the teacher for a reason. This applies to any learned discipline. Think about it: if you were already knowledgeable in piano, why would you be taking lessons in the first place? Finally, be patient. Learning piano from adult piano lessons can take longer for the results to show, simply because of the newness of it. It’s like learning a new language or a martial art or something similar; it takes practice to become skilled and to notice your growth. And try to have fun with it – just because you’re not playing the Fifth Symphony by Beethoven doesn’t mean you’re not really a piano player. Remembering to be patient with yourself and willing to accept instruction will help you to become a better piano player and person. Learn more about adult piano lessons by visiting the main page of PianoLessons.com , or by browsing through some of our other piano lesson articles that we've posted on this web site.